All of our training courses and programs are "hands-on", and are offered at the client's facility, anywhere in the world. ASC uses its proprietary five-stage M/PCpS Methodology as the foundation for its Variation Reduction, as well as its Six Sigma Program. But, as with all successful programs, this one too must start with upper management's full commitment and support. For this reason, ASC usually begins its Programs with an Executive Overview to help upper management through the strategic phase. NOTE: Other modules may be added to meet customer needs. Six Sigma Executive Overview - To familiarize top executives and managers with Six Sigma and its implementation. Variation Reduction Executive Overview - To familiarize top executives and managers with the Variation Reduction Initiative (VRI) and its implementation. 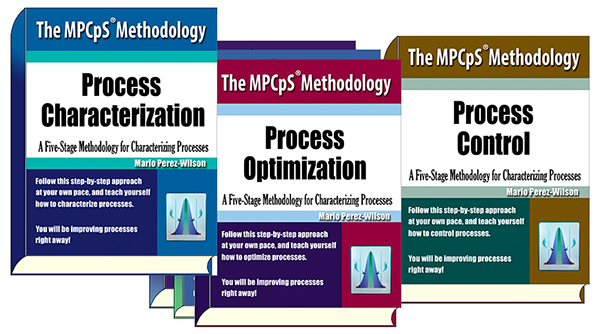 The M/PCpS Methodology for Process Characterization - The complete methodology for machine and process characterization studies. M/PCpS is what allows you to reduce variation and achieve Six Sigma in every project, every study, every process, every time. Measurement Systems Analysis - Learn about gauge repeatability and reproducibility studies (GR&R) for destructive and non-destructive testing. Machine and Process Capability Studies - An introduction to the Five-Stage Methodology that enables machines and processes to function within specification limits. Multi-Vari Chart and Analysis - A pre-experimentation technique to identify the major sources of process variability without manipulating process variables. The Design of Experiments - Learn how to plan, design, conduct and analyze statistically designed experiments (DOE). Advanced Design of Experiments - This is an advanced course in experimental design (ADOE) with multiple factors, multiple levels, multiple experimental units and restriction on randomization. Statistical Process Control - SPC is a method of monitoring, improving and controlling processes by collecting, charting and analyzing data from product characteristics or process variables. Total Control Methodology - TCM is a system that integrates a number of statistical tools to establish a preventive and continuous plan to control machine parameters and process variables, and monitor product characteristics, to maintain processes stable, predictable, capable of producing within specification limits. We take participants through lectures in which they learn the tools, methods, and concepts. Then, we help them apply the tools with equipment from their production facility.